If you’ve followed the gaming industry for any length of time, you’ve likely seen stories of games being delayed over and over. Whether it’s developers attempting to get everything right, scrapping entire parts of games, or entire games because they didn’t gel anymore. The Magic Circle takes that concept and builds an entire game around it. In many ways it succeeds at being a satire on the current AAA gaming industry. In others, it comes off a little abrasive. 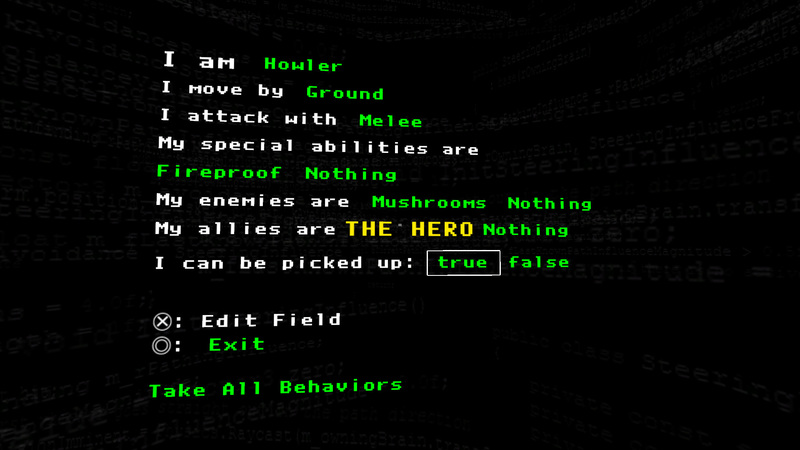 The Magic Circle is a game about a game stuck in Development Hell. You are a new QA tester hired to help get the game ready for a live demo. The developers have been at this for so long, they basically now hate each other. You will be a party to numerous arguments, exchanges of emails, snarky comments, and creative direction changes throughout the course of the game. You’ll also come across many earlier iterations of the game, where you’ll see the direction where the game was going then, and how it has changed. 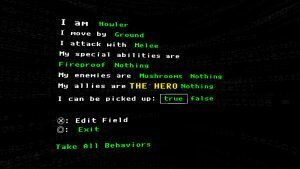 The game takes the concept of wasting your life on a project and turns it into a gameplay mechanic. All of the effort that went into something, only to have it changed or deleted is something you will be able to make use of. You pull that life energy out of those long forgotten cracks and then use it to either restore sections of the game or edit creatures you come across. 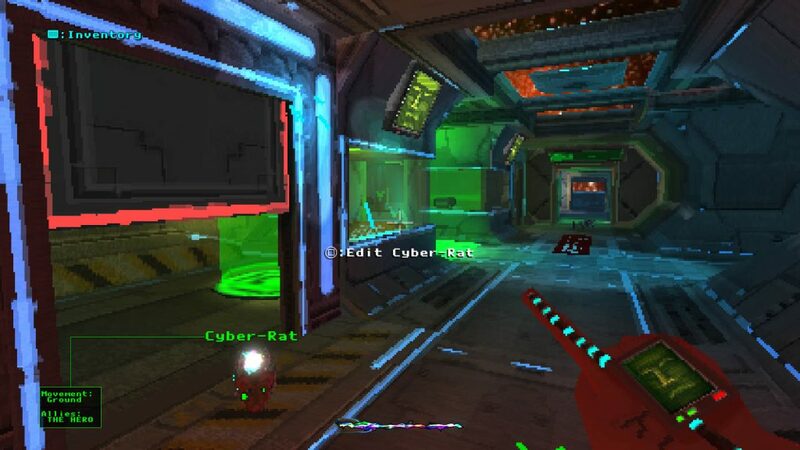 You will need to do this, because the player has no combat abilities. The team couldn’t agree on what abilities the player would have, so you don’t get any. 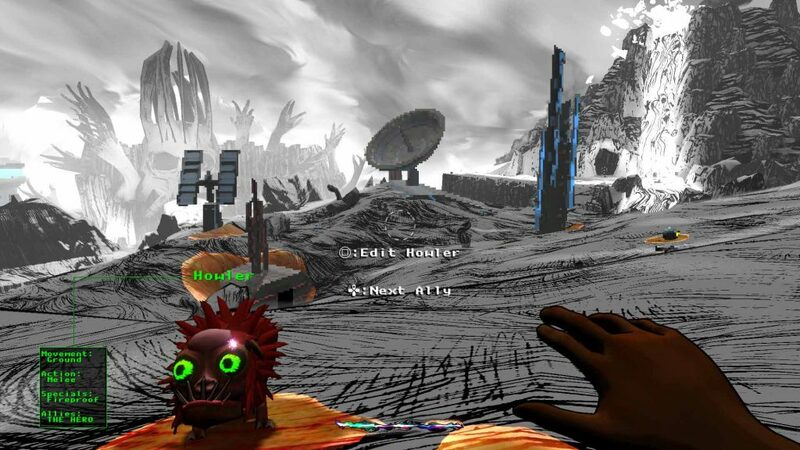 You’ll soon meet up with Pro, a character from a canceled earlier version of The Magic Circle. With his help, you start to hack the system and turn things around. Some puzzles will require you to traverse deadly ground, and the only way to do that is to use a creature’s ability to resist that terrain and simply hop on top of them and have them ferry you across. Other times you’ll have to edit a creature and make them enemies with a specific creature type, then send them to attack that enemy. There is a lot of variety in the creatures and abilities, and it gets really fun once you have a large pool to work with. Early on, though, it can get a bit frustrating trying to figure out how to do something and knowing what you’d like to do, but you’ve not hacked the right creature to get the ability you need to do it. Mechanically The Magic Circle is sound. It’s a lot of fun, and there is a fairly large world to explore. Where it gets a little difficult though is in its narrative. For a story like this to work there needs to be some relatable characters—someone that the player can latch onto. You don’t really get that here. None of the developers are particularly likeable. That leaves The Magic Circle itself: The game within the game, as the focus. This is where The Magic Circle pulls off its most impressive trick. I cared more about fixing the mess the developers have made of the game than I did about the developers themselves. Seeing what they scrapped and why made me roll my eyes at times, and downright frustrated other times. In short, they made the game within the game, the most relatable character. That’s quite a feat. 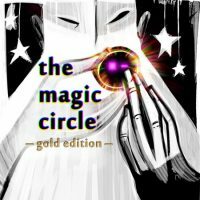 A review code for The Magic Circle was provided by the publisher.